Not even a handful of QSOs today but all very special! First of all I caught TZ4AM on 6 m! It didn’t take long to find out his split listening tactics so I didn’t need more than 2 calls to nail him. 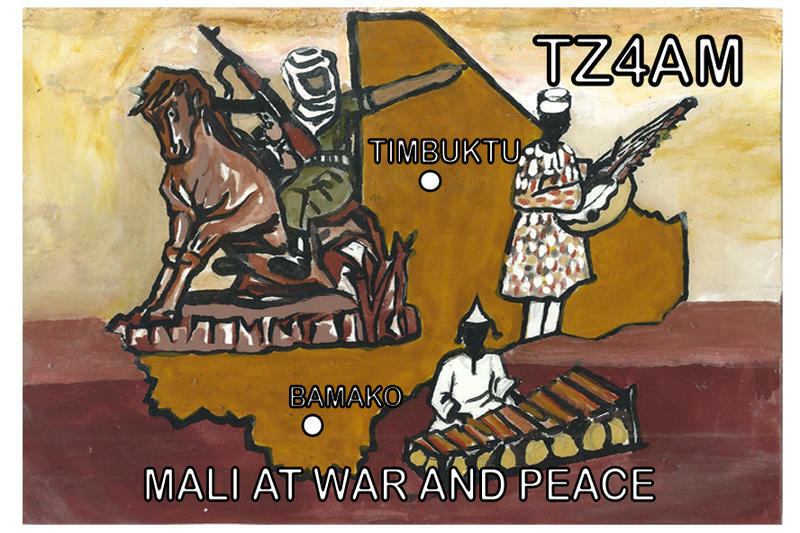 😎 While I had worked Mali on 6 m before (TZ6EI/IK62 in 2009) IK51 was a new square, now up to #652 … Then I finally caught Mike, SV5BYR, on 4 m. 😎 I had been chasing him through the whole season of 2015 as well as this year! I had heard him a few times but signals were never strong enough for my tiny 4 m QRP signal to be heard on his end. But now we made it. Now only SV9 missing from that region so keeping fingers crossed I’ll be able to work some of the Crete guys on 4 m, too, before our special permit ceases end of August. This entry was posted in DX, Propagation, Sporadic E, VHF. Bookmark the permalink.